ENVIE is a single application hair straightening treatment that lasts for up to 90 days and gives hair a longer, softer, and shinier appearance with reduced curl, wave, and frizz. ENVIE makes hair more manageable, and easier to style. Hair can be worn either curly or straight with ease. Q. Does this product contain Formaldehyde? A. No! 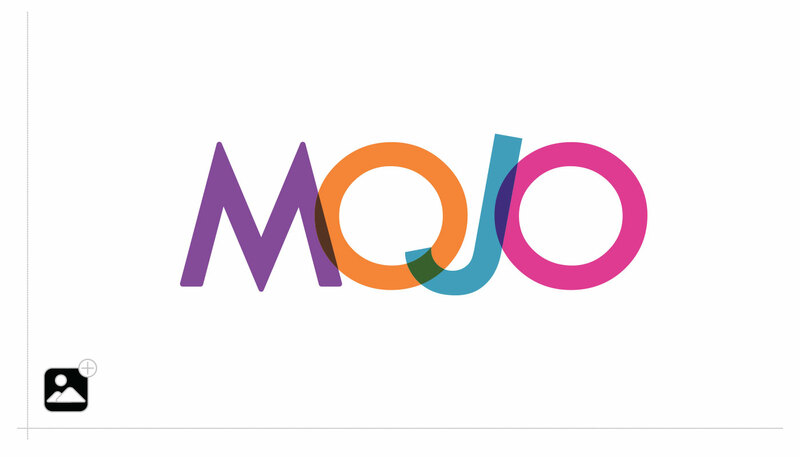 This product line contains no harmful chemicals and is formaldehyde and aldehyde free. 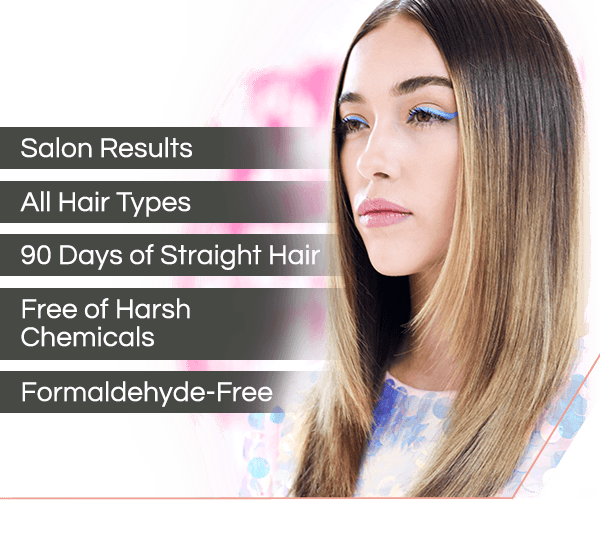 Many professional salon brands contain aldehyde which is converted into formaldehyde when the aldehyde in the hair comes into contact with a hot flat iron. Q. Do many hair straightening products used in professional salons still contain Formaldehyde? A. Some brands still contain formaldehyde at the lowered concentration of approximately 2%. When the Brazilian Blowouts were first introduced in the USA, many brands had concentrations of formaldehyde of over 10%, which was a concern to the health of both the stylist and consumer because formaldehyde is a known carcinogen. As hair was flat ironed, the formaldehyde vapors filled the salon, putting everyone at risk. Q. What do many store-brand hair straighteners contain? A. Many of the hair straighteners that are sold in retail stores contain one of three chemicals to straighten hair: sodium hydroxide, guanidine hydroxide, or ammonium thioglycolate. These chemicals have been around for years, and when used to straighten hair, can cause scalp irritation, scalp damage, or even hair loss! Q. Why do other products give shorter-term results? A. If you look on an ingredient label for many of the current hair straightening products sold at retail, you may see that many will have one of three chemicals used as an active ingredient, sodium hydroxide, guanidine hydroxide, or ammonium thioglycolate. These chemicals are used at a low concentration in a high keratin based formula. Because the concentration of the active ingredients is kept lower to prevent scalp irritation, it also means the duration of results for is only 2 weeks to only 1 month. Q. Who can use the ENVIE Hair Straightening System™? A. Any person who desires straighter, stronger, frizz free hair. Q. Is this treatment good for African American hair types? A. Yes, this treatment is effective on African American hair. Q. Can I get the treatment done while pregnant or nursing? A. While there are no known adverse effects, we do not recommend women who are nursing or are pregnant to have any chemical process done to their hair without a doctor’s permission. Q. Can the ENVIE Straightening Treatment be done on children? A. We recommend the system be used on women and men, 18 years of age and older. Q. What hair types can the ENVIE Straightening System be use upon? A. The system can be used on all hair types: from wavy loose curls to tight spiral curls. All individuals will have the benefit of straighter more manageable hair. Q. If I have previously color-treated hair, can I use the system and not damage my hair? A. Yes, you can use the ENVIE System on color-treated hair! For best color results, it is suggested that you use the ENVIE Straightening System first, and then wait for 2 weeks before you have your hair colored. By using the ENVIE System first, your hair will be more manageable, and the color will be blended better into your natural hair color or highlight treatment. Q. How does this differ from a thermal (Japanese) straightener? A. Unlike the thermal (Japanese) straightener system, the ENVIE System does not contain any Ammonium Thioglycolate or Guanidine Hydroxide (Lye). There is no risk of damage to the hair caused by harsh chemicals. As hair is washed over time, the active ingredients will be removed from the hair strand and the hair will return to its original structure of being wavy or curly. Q. Is the ENVIE System a relaxant / relaxer treatment? A. No, ENVIE is a keratin based treatment that straightens and softens the hair. The old style relaxants used many chemicals that can damage the scalp and hair (chemicals such as sodium hydroxide, guanidine hydroxide, or ammonium thioglycolate). The ENVIE System does not contain any of these older types of chemicals that have the potential to damage the scalp and hair. Q. Is ENVIE a natural product? A. No, any hair straightening or soothing product requires some type of chemical as an active ingredient to break the chemical bonds deep within the hair strand that cause hair to curl. Any smoothing or straightening system that reduces curls for an extended period of time (greater than 3 to 4 days) must contain some type of chemical. If a product claims to keep hair straight “naturally,” buyer beware - it contains some type of chemical in its formula. A. Yes, ENVIE will sooth and straighten virgin hair. However, the first application’s duration of results on virgin hair will be shorter and not last as long as hair that’s been previously treated by some other type of chemical procedure. For the first application upon virgin hair, the duration of results (how long the hair will be kept straight) will only be approximately 40-60 days, based on hair type. Upon a second application, the hair will have a longer duration of results. Q. Why does virgin hair have a shorter duration of results? A. The reason is that for virgin hair that has never been exposed to a chemical procedure. The hair cuticles on the hair strand tightly adhere to the strand - they are basically closed. When hair is exposed to chemicals, the hair cuticles rise away from the hair strand. If the cuticle is closed (like it is for virgin hair), it’s more difficult for the active ingredients to be absorbed into the hair strand. If the cuticles are already raised from the hair strand (from previous treatments), it is easier for the active ingredients to be absorbed into the hair where the bonds that control the curls can be broken. Q. Is ENVIE a permanent straightener? A. No, ENVIE is not a permanent straightener. ENVIE makes your hair silky, straight, curl- and frizz-free for approximately 90 days or longer depending on hair structure and curl type. Each time the hair is washed, some active ingredients will wear out of the hair strand. Over time, the hair will return back to its genetic curly or wavy hair structure. Results last longer, of course, if you use the ENVIE Stay Straight Daily Shampoo and Conditioner. Q. Approximately how long will the duration of results be on each hair type? A. Each hair type will have a slightly different length of duration of results during which it will stay straight for. For hair types that are loose and wavy, the duration of results may be greater than 90 days. If the hair curl is tighter, the duration of results will decrease (usually to around 90 days). If the hair is a tight spiral curl, the duration of results may only be 60 days. Q. How can I get the longest duration of results when I use ENVIE? A. For longest duration of results, keep in mind that the more you wash your hair, the faster the active ingredients will wear away from it. When you do wash your hair, we recommend you use the ENVIE Stay Straight Daily Shampoo and Conditioner that have been designed to keep hair soft and more manageable. Q. Will I have a line when it’s growing out like hair color? A. The ENVIE Straightening System will not cause your hair to have a halo effect as your hair grows out. ENVIE washes out over time. Each time the hair is washed, some of the active ingredients will be washed out from the hair strand. Over time, your hair will become more wavy and curly, and it will be time for a new application. Q. Should I expect my hair to be pin-straight? A. The ENVIE Straightening System will give your hair a smooth appearance, but hair will not be pin-straight. Q. How often can I use the ENVIE Straightening System? A. Typically, you would use it every 90 days, but for tight curly hair, you may need to use it slightly more often. If you have hair that has never been chemically-treated, you may need to treat your hair a second time in 4 weeks. After that, future treatments should be every 90 days days. It is recommended that you wait at least 4 weeks before repeating the use of the ENVIE Straightening System™. Q. Can the ENVIE System be used after other straightening procedures? A. 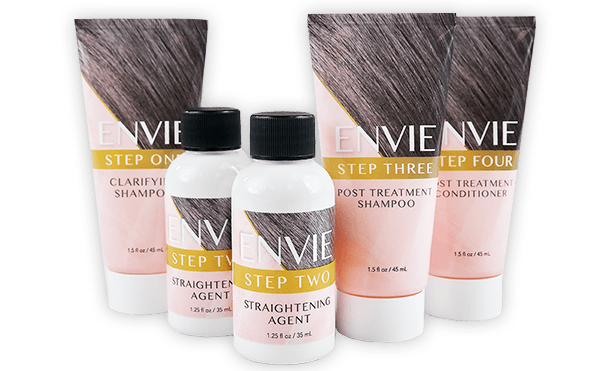 Yes, you can use the ENVIE System over any type of straightening agent. Our recommendation is to wait a minimum of 4 weeks after the last procedure before using the ENVIE Straightening System. Q. Is it best to use the ENVIE Straightening System™ before or after coloring? A. For optimal results, we suggest you use the ENVIE Straightening System first and then wait 2 weeks before having a color/highlighting process. Q. How long will the ENVIE Straightening process take? A. This process will take between 1.5 - 2 hours depending on the density and length of the hair. This is the same amount of time that a professional salon will take straighten a person’s hair. Q. How much straightening agent will be necessary for my hair? A. The kit contains 2.5 ounces of straightening agent, which is enough for hair that is approximately 10 inches below the shoulder. If hair is longer, then it may be advised that you purchase an extra ENVIE System in order to expose all the hair to the treatment. Q. Can I wash my hair right after treatment? A. No, please wait 6 to 8 hours before washing hair after the ENVIE application. During this time, the active ingredients penetrate into the hair to break the disulfide bonds that contribute to curl hair. Q. Will the process make my hair smell? A. Your hair may have a slight smell of sulfur. This is because the active ingredient is breaking the disulfide bonds that cause hair to curl. When a disulfide bond is broken, the sulfur becomes free and may sometimes emit a faint odor. The smell, if present, will only lasts for the 6 to 8 hours while the hair is resting before being washed the first time after the application. In most cases, an odor or aroma is never detected. Q. Can I clip or pull back my hair during this 6 to 8 hour waiting period? A. For best results, let the hair hang loose, brush it into the position or style you prefer, and let the active ingredients work on breaking the disulfide bonds during this period. After the 6 - 8 hour wait and first washing, you can wear your hair any way you wish. Q. What should I do if my hair gets damp or wet during the first 6 to 8 hour after the application? For example, sweat from exercise or being caught in a rain storm. A. Immediately blow dry hair using your paddle or roller brush, and then use your flat iron to reseal in the active ingredients. Q. Can I use styling products on my hair during the first 6 to 8 hours? A. No products should be used on the hair for the first 6 to 8 hours after the ENVIE System has been applied. The only styling products we suggest that you consider using are a heat protectant or styling oil during the last steps of the blow dry and flat iron process. The heat protectants will keep hair from being damaged by heat from the blow dryer and flat iron. We suggest that anytime you style your hair using a heat process, you incorporate a heat care product to your styling regimen. Q. Can I swim after having my hair straightened? A. No, do not get your hair wet until at least 6 to 8 hours after application.